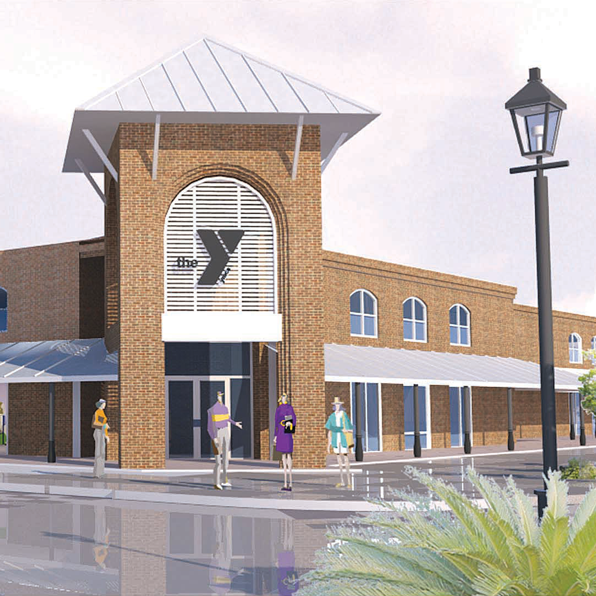 CENTRAL — The YMCA of the Capital Area is excited to announce the construction of a new YMCA in Zachary. The 26,000 square-foot facility will reside on 5.25 acres of land at 401 Liberty Way, Zachary, La. This will be the 9th YMCA facility and it will feature a fitness center, aerobics studio, community meeting room, outdoor pool/splash pad, locker rooms, and tennis courts. The YMCA in Zachary will be the second Y facility to use the New Market Tax Credit Program in support of its construction. The first project approved to use the tax credits was for the construction of the ExxonMobil YMCA. “We’re proud to partner with the YMCA, another national leader committed to strengthening communities, to help bring this project to life,” said Matt Philpott, Director of New Markets for U.S. Bank. U.S. Bank has committed $3.3 million of New Market Tax Credit equity in support of the construction of the Zachary YMCA. The New Market Tax Credit Program was established by Congress in 2000 to help stimulate economic growth, support job creation, and foster small business growth in underserved communities across America. In Baton Rouge, the tax credits are a part of the city’s Redevelopment Authority, which focuses on the redevelopment of neglected areas of Baton Rouge for future development. As part of the New Market Tax Credits for this project, the Y will hire 60 percent of the facility’s workforce from qualifying low-income areas, continuing the initiatives of the Redevelopment Authority. Currently, the Y has raised nearly $166,000 of its $3.5 million goal. As part of continued fundraising efforts, the Y is encouraging the Zachary community to make a donation to the Capital Campaign to help close the gap! Donations can be made online at ymcababr.org/Zachary. All donations are tax deductible. This new facility, set to open in 2013, will allow the Y to better serve the capital area community through youth development, healthy living and social responsibility. The YMCA of the Capital Area currently has over 27,000 members and serves an additional 100,000 people in the community through local Y programs at eight area YMCA locations.